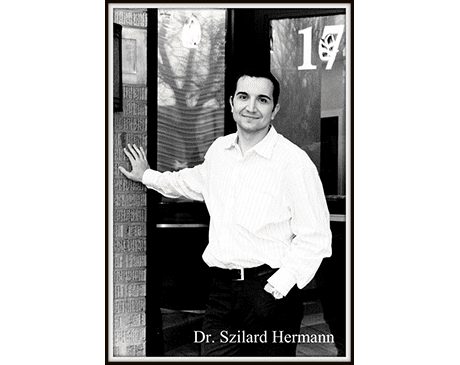 Dr. Szilard Hermann graduated from Boston University. Dr. Hermann brings his knowledge of the latest in dental technology including Invisalign, veneers, laser surgery and implants. Dr. Hermann is sensitive to his patients' needs and creates a warm, caring atmosphere where they feel comfortable. Dr. Hermann is a member of the following organizations: American Dental Association, Illinois State Dental Society, Chicago Dental Society, American Academy of Implant Dentistry In his free time he likes to spend time with family, travel or train for triathlons.